We’ve all been there – you’re happily sewing along and something goes wrong – your thread breaks, your stitches start skipping or a nest of tangled thread has appeared on the backside of your seams. It can be very frustrating, especially when you're starting out, to know what is going on and how to fix it. Before you panic, remember there are three easy things you can do yourself to fix 99% of quilting problems. This one tip will fix most problems and is my first go-to when something starts to go wrong! When rethreading, make sure your presser foot is up. This will ensure the thread has the right tension. Also, make sure you're using good quality thread. Old thread (anything on wooden spools) or thread of unknown origins shouldn't be used because you don't know the quality. Use coupons and search for sales to get good thread cheaper. Make sure it’s the right size for your fabric and is put in correctly. It's easy to get it in backwards, which will definitely cause problems! How often to change your needle is up for debate. Some say every 4 hours of sewing time (probably needle manufacturers! ), some say 8 hours and some say 16 hours. If you start hearing a "thut, thut, thut" sound, definitely change it immediately. That's the sound of a dull needle. I know this is the last thing you want to do when you finally get time to sew! You only have 30 minutes, and you don't want to spend precious minutes doing the boring stuff! But taking the time to do this one thing will not only make your machine hum, it will prevent future problems. Your owner's manual will tell you how often to do regular maintenance. BONUS TIP: And the most simple of all – restart your machine! Just like with other electronics, sometimes just restarting fixes problems! 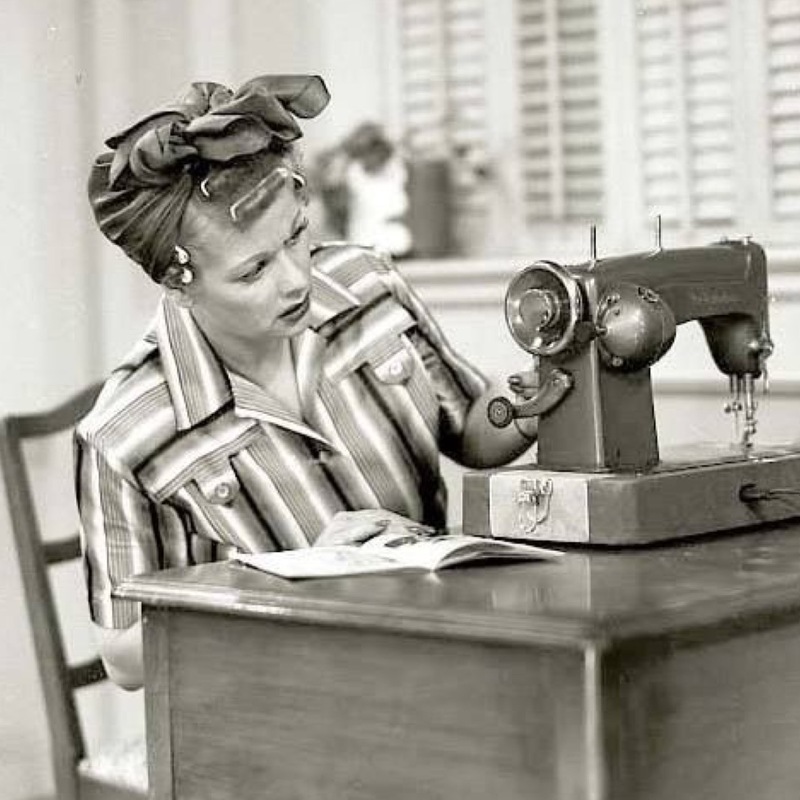 Did you know I have a Pinterest page called: People Using a Sewing Machine? It's full of celebrities and regular people - you guessed it - using a sewing machine! Check it out for a bit of fun!